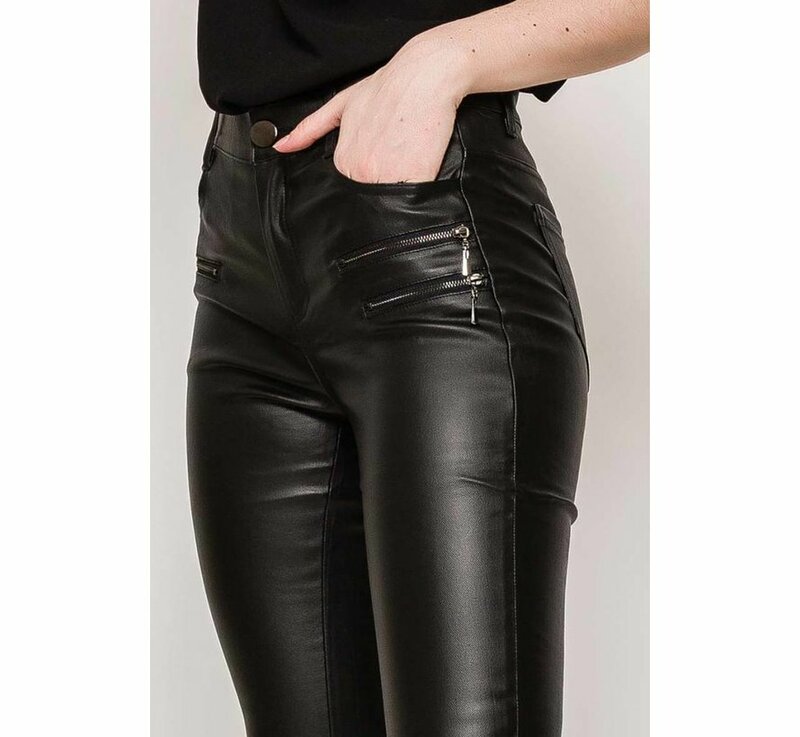 The leather pants, the fashion shave of every fashionista! This topper has a mid-high waist and decorative zippers at the hips. Go for a cool look and combine with biker boots or look bossy chic and work those legs with high heels.